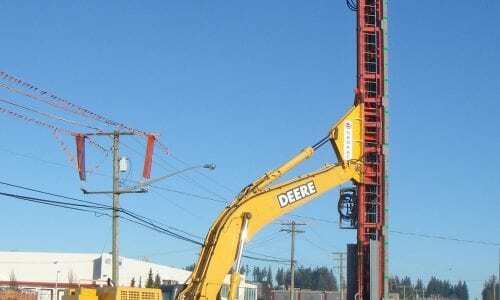 The City of Surrey is constructing a new 4-span railway overpass on 152nd Street. The overpass bridge is based on a box girder design with pile supported piers and retained light-weight EPS embankment fills. The construction schedule has allowed for an 18 to 20 month preloading period for the bridge approach embankments. 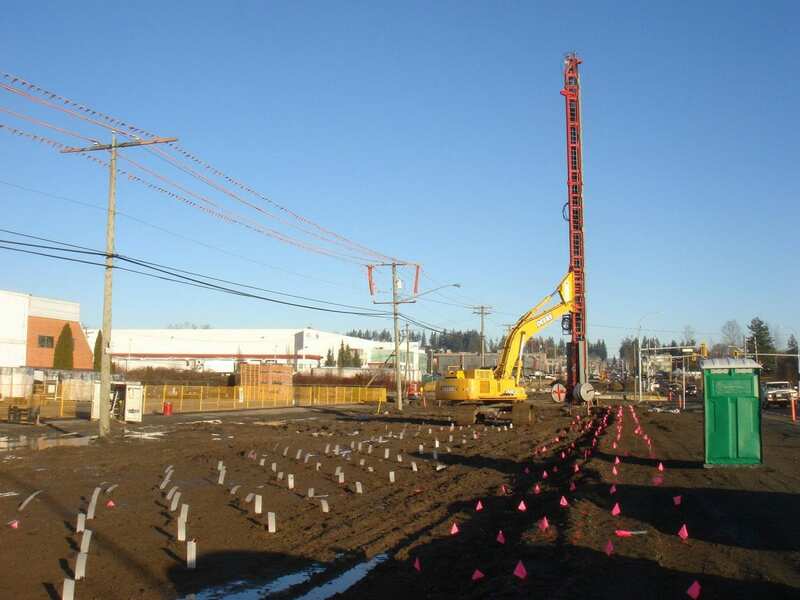 Because of the highly variable nature of the soil profile and the significant thicknesses of soft compressible soil layers, preloading and the use of light-weight EPS fill was considered necessary to limit post-construction settlement of the proposed approach roads to an acceptable tolerance of 150mm over 25 years. Given the 18 to 20 month preload period, installation of wick drains was required to increase the rate of preload induced settlements. Wick drains were required under the entire south approach (±4,700m2) and under the southern portion of the north approach (±800m2) where soft compressible soils occur. Wick drains were installed on a triangular grid of 1.5m spacing. To maximize their effectiveness, wick drains were installed to refusal in the sand layers below the soft clayey silt deposit. Installation lengths varied between 5 and 16m with an overall average of 13m depth. 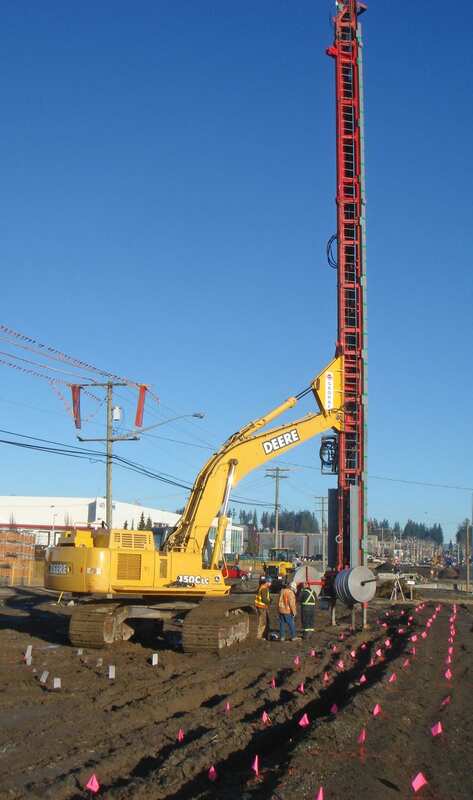 Menard Canada utilized a Menard design hydraulic chain-driven wick drain mast for this project. 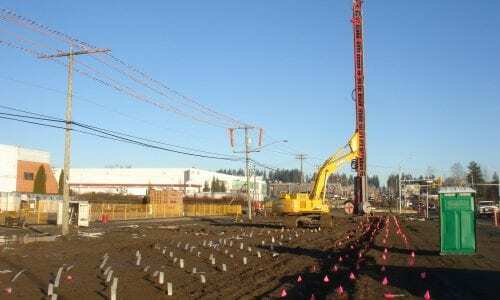 Despite working on top of dense surface road base material, only 19 predrill/auger holes were required out of some 2,200 drain locations.